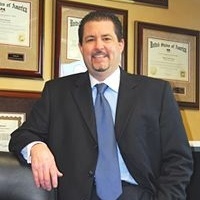 Mr. Mottini has dedicated the past 23 years of his life to his career in the financial planning industry. Prior to starting his own business as a financial advisor at Plan Well Live Well™, Mr. Mottini spent eight years at Morgan Stanley Dean Witter, working his way up to an Associate Vice President within that firm. Phil graduated from Arizona State University, with a Bachelor of Science in Accounting and holds various professional designations which include: Series 7 General Securities Representative, 63 Uniform State Securities Law Exam, 65 NASAA-Investment Advisors Law Exam Securities Registrations, AIF® (Accredited Investment Fiduciary) and Department of Insurance: Life, Disability and Variable Products. Phil brings a lot of energy, education and enthusiasm to the office. He spends most of his time meeting with clients, organizing their portfolios, educating them on their investments and researching the best investment opportunities for them in this complex world of investments. As the sole owner of Plan Well Live Well™ since 2019, he is able to offer a much broader range of services, with special experience in advanced financial and estate planning. When Phil is not at work, he is kept very busy by his lovely wife Judy and their children.